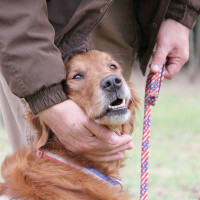 DOD photograph by EJ Hersom Medically retired Army Staff Sgt. 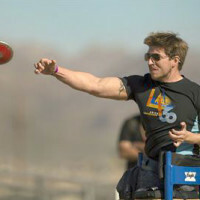 Timothy Payne competes in seated discus during the Army Trials at Fort Bliss, Texas, April 1, 2015. Payne is slated to compete at the 2016 Invictus Games held May 8-12 at the ESPN Wide World of Sports Complex at Walt Disney World in Orlando, Fla…. 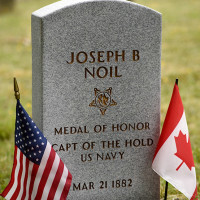 District leaders, military officials and veterans, as well as representatives from the Embassy of Canada honored a forgotten Medal of Honor recipient at St. Elizabeths Hospital Cemetery in Washington, D.C., April 29. More than 700 cyclists, including nearly 175 disabled veterans, rode two routes -- either 110 miles from Arlington, Va., or 120 miles from Valley Forge, Penn., -- and met up in Gettysburg, Penn., as part of World T.E.A.M. Sports’ annual “Face of America” ride. 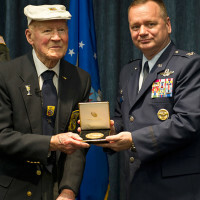 One of two surviving Doolittle Raiders visited Fairchild Air Force Base, Wash., for a commemorative toast April 18 in honor of the 74th anniversary of the Doolittle Raid on Tokyo. 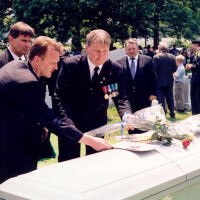 Larry Thorne would have been 97 next month.